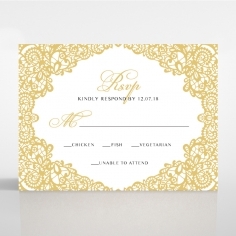 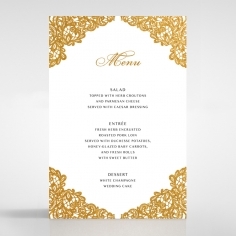 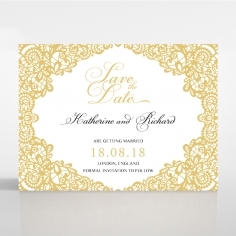 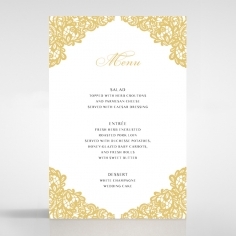 This invitation is designed for couples having a wedding with either a modern or traditional theme as elegance is not amiss with this pocket style invite. 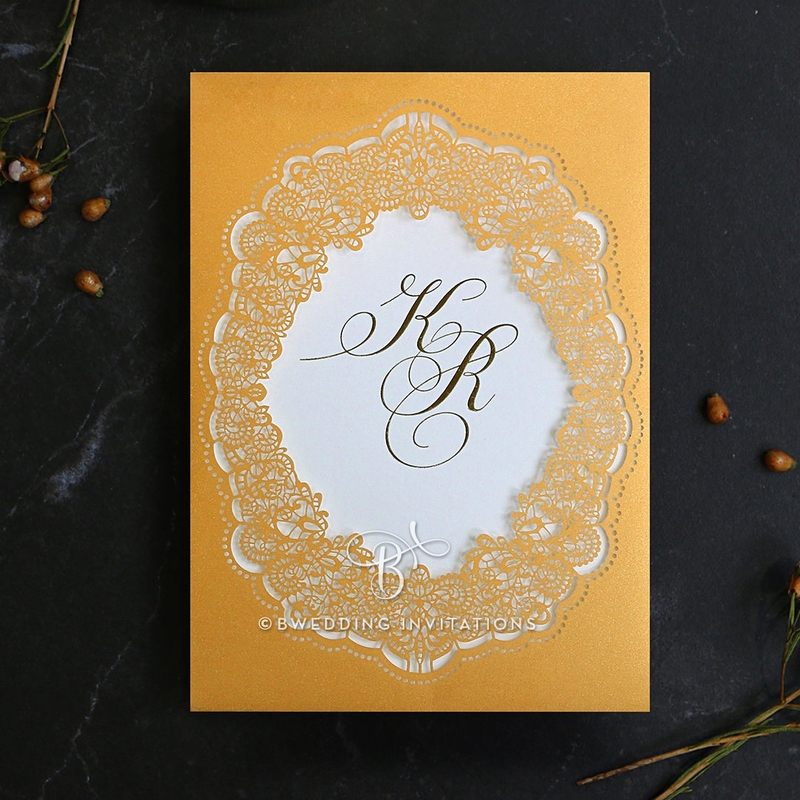 Created using a quality card stock, a delicate lace pattern is crafted using our signature laser cutting die software to produce intricate lace detailing to form a charming hollowed center frame. 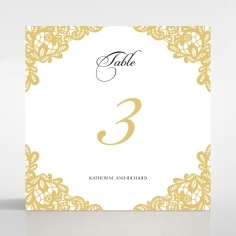 You and your partner’s initials are then luxuriously foil stamped on the center of the inner card making it visible through the frame. 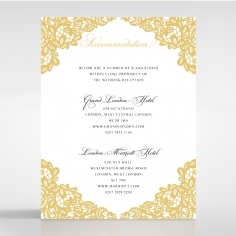 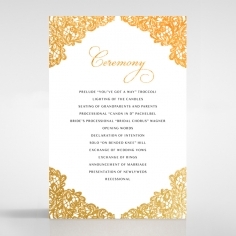 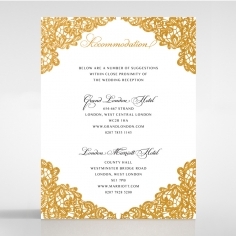 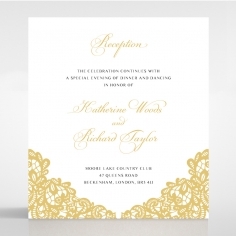 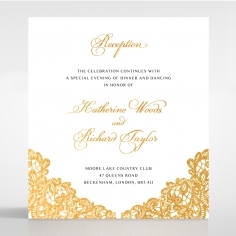 Exceptionally regal, captivating and oozing with sophistication, this invite is sure to impress your guests and set the tone for your wedding day. 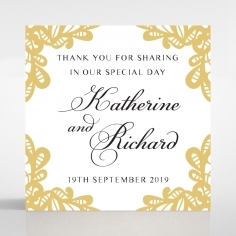 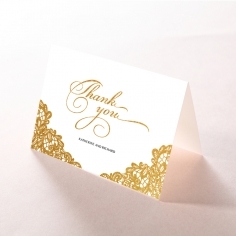 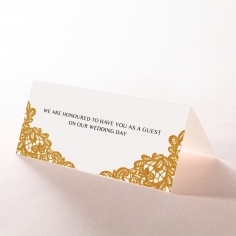 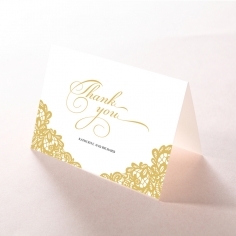 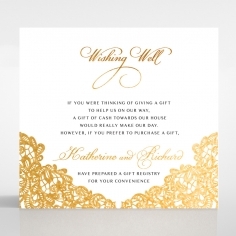 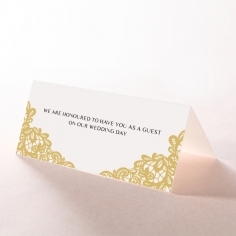 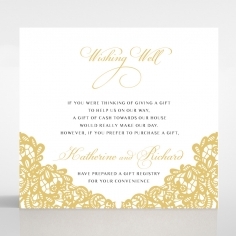 The stationery is personalized with your wording and choice of two font styles at no additional cost.